Put the stylish finishing touch to any outdoor seating area with this hand-crafted outdoor indoor-outdoor pillow. 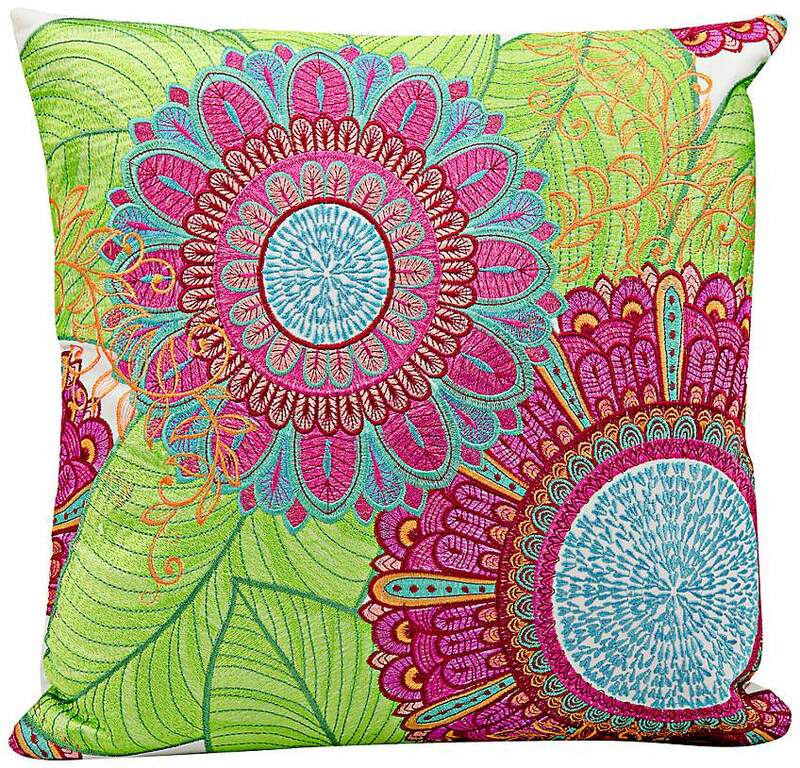 Featuring bright hues of pink, blue and green, this stunning floral decorative indoor-outdoor pillow is hand-crafted and designed to be used outdoors. Also perfect for accenting a sofa or bed. 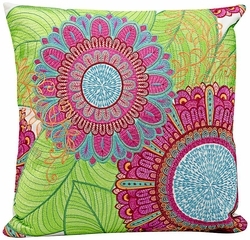 • Decorative indoor-outdoor pillow; design by Mina Victory. • Poly embroidery on acrylic material; includes a polyester fill.